Just in time for Easter, this healthier spin on copycat Reese’s peanut butter eggs only takes about 10 minutes of hands on time, and can be adapted to be nut free or paleo. It’s been a hot minute since I had a Reese’s Peanut Butter Egg but all I remember is sweetness. Sickly, make your throat hurt (do you get that), sits-in-your-stomach-like-a-lead-balloon sweetness. That waxy chocolate, and bad processed sugar-y filling… ick. I first made these eggs a couple of years ago – in fact, they were one of the first recipes to appear on A Clean Bake – and it was a revelation. It turns out copycat Reese’s peanut butter eggs are actually better than the original. 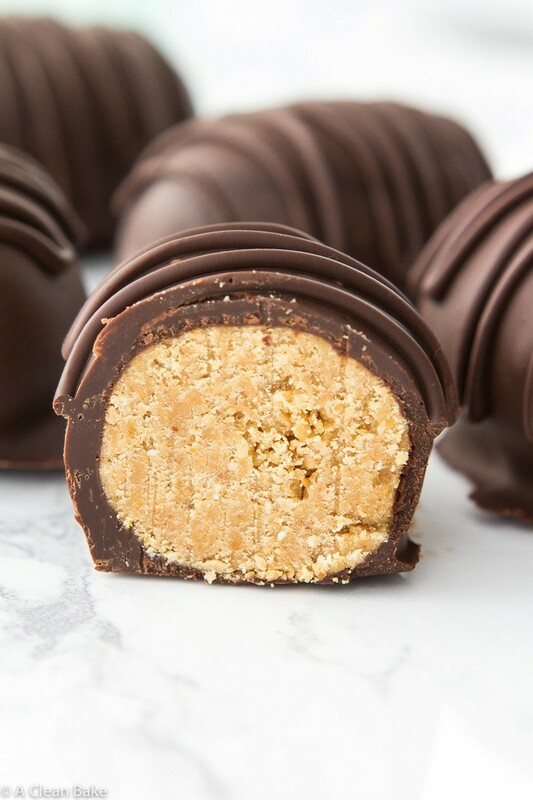 Of course, I’ve come a long way since then but despite the hundreds of other recipes that have appeared on this site since the first iteration of these copycat Reese’s peanut butter eggs, this recipe remains one of my favorites. It’s very lightly sweetened with honey (or maple syrup, if you prefer) but the chocolate and peanut butter flavors still shine through – as they should. 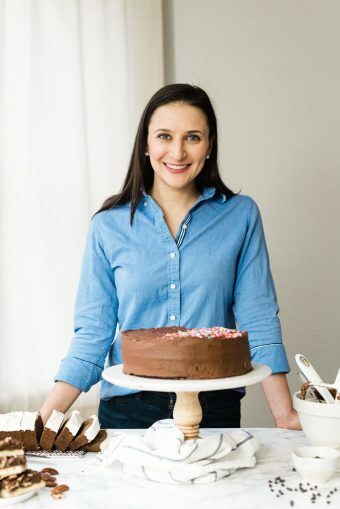 The ingredient list is so simple, you’ll laugh: peanut butter (or your nut or seed butter of choice), the aforementioned honey or maple syrup, a tiny bit of coconut flour to get the Reese’s texture, and dark chocolate to coat. Add salt, if you want (I did; it complements the sweetness). That’s ALL. Easy and no-bake, a quick spin in a food processor is all that stands between you and these crispy-on-the-outside, soft-and-peanut-buttery-on-the-inside, way-better-than-Reese’s peanut butter eggs. 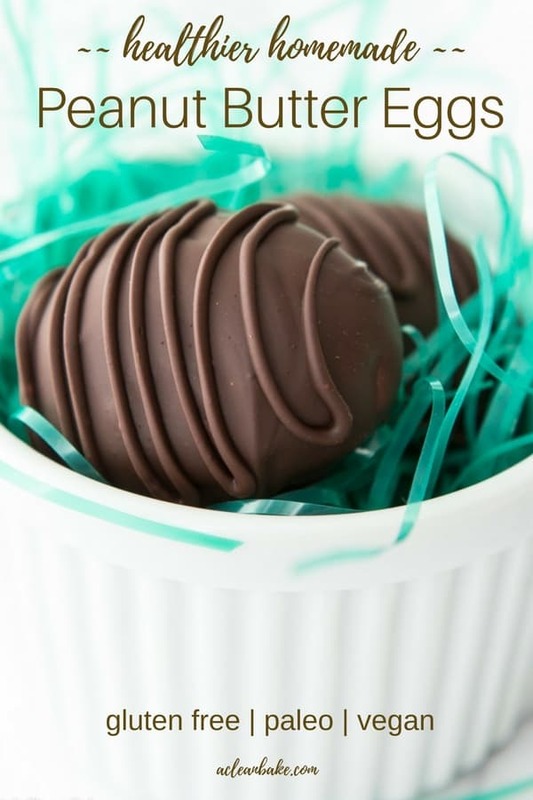 Just in time for Easter, this healthier spin on copycat Reese's peanut butter eggs only takes about 10 minutes of hands on time, and can be adapted to be nut free or paleo. In the bowl of a food processor, puree together the nut butter, honey/maple syrup, 1/2 Tablespoon coconut flour and salt until it forms a mass. If the dough doesn't stick together completely, add a little more coconut flour, 1/2 Tablespoon at a time, until it forms a single, soft mass and the oils are mostly absorbed (it will look matte). Roll 1 Tablespoon + 1 teaspoon portions of dough into ball, and then flatten and lengthen between your palms into an egg shape. Place freeze peanut butter eggs in an airtight container lined with wax paper, for at least 45 minutes, until firm. Melt 3/4 cup of chocolate in the microwave in 30-second intervals, stirring in between, until the chocolate is completely smooth and shiny. Dunk each PB egg into the chocolate and lift out with a fork. 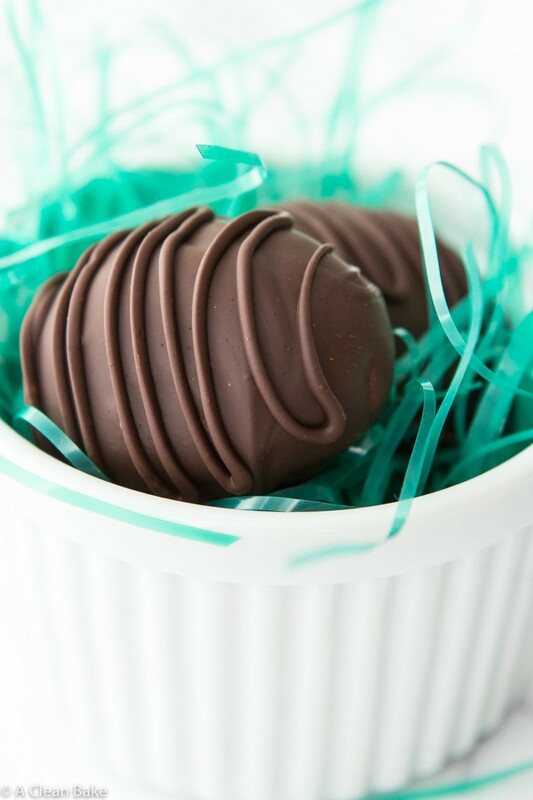 Firmly tap the fork several times on the side of the bowl to get rid of the excess chocolate before returning the egg to the wax paper to dry. Repeat until all of the extra eggs are covered. Melt the remaining 1/4 cup chocolate and pour into a small zip-top bag, squeeze it into a corner, and snip off a tiny piece of the corner of the bag. 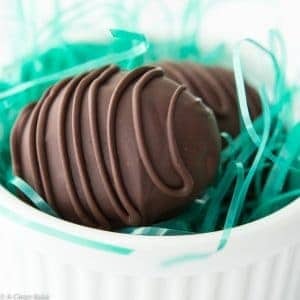 This will give you a makeshift piping bag that you can use to drizzle the remaining chocolate on top of the eggs. 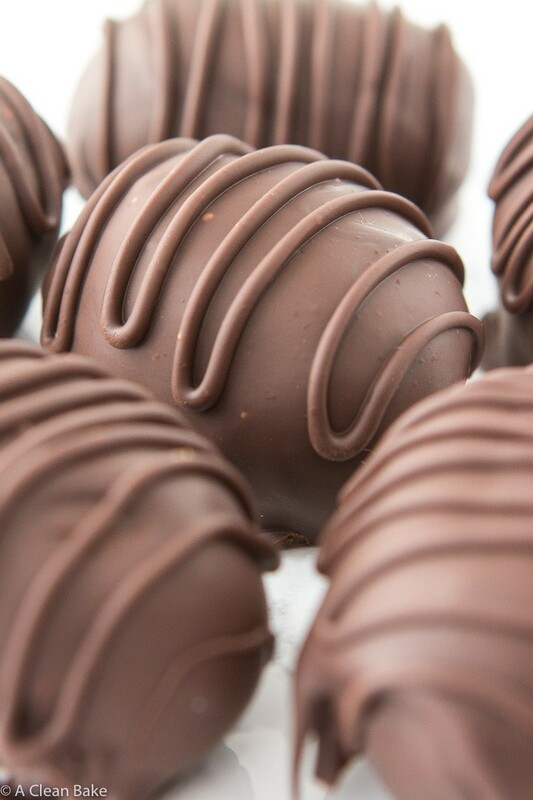 Allow the eggs to sit at room temperature or in the fridge until chocolate has completely hardened before eating. You can add stevia to taste (to the nut butter mixture) if you'd like the eggs to be a little sweeter. For paleo compliance, try almond butter, cashew butter, or sunbutter for the filling. If your nut butter is from the bottom half of the jar and the oil has separated significantly, it may be too dry to stir and hold the filling together. In this case, add coconut oil (melted and slightly cooled) or another mild flavored oil of choice about 1 teaspoon at a time until the filling is moist enough to stir and to hold together when pressed into the egg shape. Yep! That’s why the recipe notes that you can use any nut/seed butter of choice 🙂 Almond butter would be great!